Product prices and availability are accurate as of 2019-04-16 09:14:08 UTC and are subject to change. Any price and availability information displayed on http://www.amazon.com/ at the time of purchase will apply to the purchase of this product. 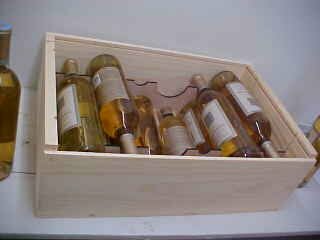 This 12 bottle wine box is constructed from our solid, and re-sawn pine wood. This box includes a slide lid and drop in guillotine dividers. 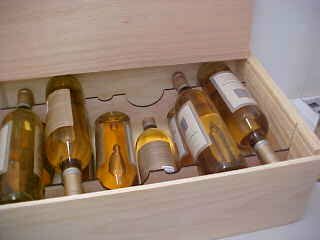 (Pinot Noir and Chardonnay require larger dividers please specify when ordering) The inside dimensions of this box are 19 3/4 X 13 X 6 1/2 inches. Please call for quotes or questions that you may have regarding this item. We offer Laser Engraving for an additional fee. Please see listing #B01MQYPYXS. 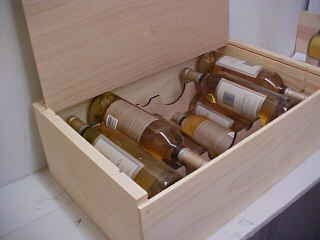 Natural Pine box with sliding plywood lid for stability Guillotine dividers to seperate bottles 19 3/4" X 13" X 6 1/2" inside dimensions Laser engraving for an extra fee, call 877-365-3880 Great gift box or display box.